Please be advised that the Par Transition Meeting originally scheduled for Wednesday, March 7, 2018, has been rescheduled for Wednesday March 21, 2018 at 7:00 pm. 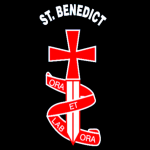 The meeting will take place at St. Benedict Catholic Elementary School, in the school library. Moving the date will give a more detailed picture to share the PAR Transition updates and next steps. Thank you for your ongoing partnership and support during this process.